We longtime U.S. intelligence officers again wish to convey our concerns and cautions directly to you prior to a critically important NATO summit – the meeting that begins on July 8 in Warsaw. We were gratified to learn that our referenced memorandum reached you and your advisers before the NATO summit in Wales, and that others too learned of our initiative via the Sueddeutsche Zeitung, which published a full report on our memorandum on Sept. 4, the day that summit began. Speaking of “pretexts to renew an old confrontation,” we believe the time has come to acknowledge that the marked increase in East-West tensions over the past two years originally stemmed from the Western-sponsored coup d’état in Kiev on Feb. 22, 2014, and Russia’s reaction in annexing Crimea. Although we have a cumulative total of hundreds of years of experience in intelligence, we had never before seen planning for a coup d’état exposed weeks in advance – and then carried out anyway. 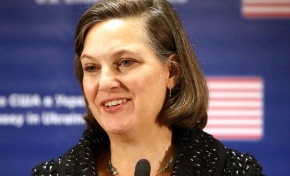 Few seem to remember that in early February 2014, YouTube published a recording of an intercepted conversation between U.S. Assistant Secretary of State Victoria Nuland and the U.S. ambassador in Kiev, during which “Yats” (for Arseniy Yatsenyuk) was identified as Washington’s choice to become the new prime minister of the coup government in Kiev. In view of the coup d’état and post-coup instability in Ukraine, what Ambassador Lute goes on to say about NATO’s professed desire for stability in Ukraine comes across as disingenuous. Far more important, it puts Russia on notice that – in the U.S. view, at least – meddling on the “periphery” between NATO and Russia will continue. We suggest that it is past time for Western leaders to admit that there is not one scintilla of evidence of any Russian plan to annex Crimea before the coup in Kiev and the coup leaders began talking about Ukraine joining NATO. If senior NATO leaders continue to be unable or unwilling to distinguish between cause and effect, increasing tension is inevitable with potentially disastrous results – all of them unnecessary and avoidable, in our view. In our August 2014 memorandum, we suggested that you be “appropriately suspicious of charges made by the U.S. State Department and NATO officials alleging a Russian invasion of Ukraine.” Actually, the gravity of the situation was considerably worse than we realized at the time. The emails show that behind Obama’s back, Breedlove kept trying to “leverage, cajole, convince or coerce the U.S. to react” to Russia. One of Breedlove’s email correspondents wrote back to him: “Given Obama’s instruction to you not to start a war, this may be a tough sell,” but this did not stop Breedlove from trying. 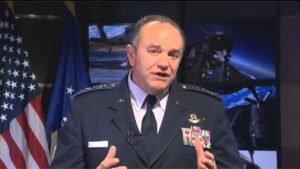 In 2015, as your own intelligence analysts were able to tell you, Breedlove went beyond hyperbole to outright fabrication with claims that “well over a thousand combat vehicles, Russian combat forces, some of the most sophisticated air defense weapons, and battalions of artillery” had been sent to eastern Ukraine. These were the kinds of faux claims Breedlove used in attempts to enlist help from the senior military and Congress in getting Obama to supply weapons to Ukrainian armed forces. The operation was just the opposite, of course. The chaos now reigning in Libya, with hundreds of refugees drowning in the Mediterranean, offers abundant proof that your government’s decision to keep Germany at arms-length from that “model intervention” was a wise one. While it is somewhat awkward for us to offer such candid comments on the character and caliber of the most senior U.S. generals and admirals – including those, like Ambassador Lute, who end up getting appointed to senior political positions at NATO – such a critique is unavoidable. The important reality to which we draw your attention pertains not only to their qualifications, but also to their dismissive attitude toward President Obama. We observed in our Aug. 30, 2014 memorandum that President Obama “has only tenuous control over the policymakers in his administration.” That this includes senior military leaders can be seen in Obama’s failure to remove Gen. Breedlove, who – in addition to his intense maneuvering behind Obama’s back – made little effort to hide his open disdain for the cautious approach of his commander in chief toward the possibility of armed confrontation in volatile places like Ukraine. Right-wing Ukrainian politician Andriy Parubiy. We believe your resolute “nein” to providing weapons to Ukraine was a key factor in scuttling that ill-conceived idea last year. And, as you know far better than we, your clearly expressed stance helped bring about a ceasefire that, however imperfect, was infinitely better than the escalation of fighting that would have inevitably resulted from sending weapons to Kiev’s government forces. You stuck to your position, even though it put you in opposition to nearly all political, military, and media voices in the U.S., which were expressing disdain for diplomacy and preference instead for war. It is inevitable that there will be more proposals to send weapons to the Kiev government, particularly in view of the continued hostilities in eastern Ukraine. We hope that unbiased scrutiny can be given to which parties are responsible for blocking full implementation of the Minsk accords that you, Foreign Minister Steinmeier, and your French and Russian counterparts have worked hard to offer as a plan for peace in Ukraine. Secretary of State John Kerry is visiting Kiev on July 7, a day before the Warsaw summit opens. He might be asked to share his impressions on the stormy political events in Ukraine over the past few months. In our view, things have gone from bad to worse there, with Andriy Parubiy now speaker of the Ukrainian parliament. Parubiy is one of the most conspicuous leaders of Ukrainian ultra-nationalist, and outright neo-Nazi, movements. In 1991 he founded the Social-National Party of Ukraine, together with Oleh Tyahnybok, another February 2014 coup plotter, who now leads the extreme right Svoboda party. 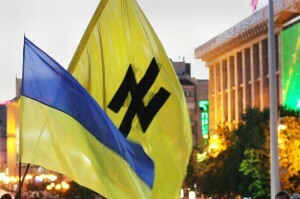 The name of Parubiy’s Social-National Party was chosen to identify it with Hitler’s National Socialist Party. Its official symbol is the somewhat modified Wolf’s Hook (Wolfsangel), used by the SS. Both parties blame Russia for the ills besetting Ukraine. Also on Monday, Kremlin spokesman Dmitry Peskov told reporters that Ukraine has not made any new effort to facilitate implementation of the Minsk accords that call for a ceasefire, weapons withdrawal, local elections in eastern Ukraine, and constitutional reform. Instead of muscle flexing and saber rattling, it would likely be more constructive if NATO leaders held a serious discussion regarding Kiev’s recalcitrance on the Minsk accords. An open discussion would mean avoiding the usual knee-jerk, wholesale identification with Ukraine’s long list of real and imagined grievances against Russia. U.S. Ambassador Lute might be asked if knows anyone with the kind of influence with Kiev that it would take to break the logjam and move events toward implementation of the peace agreements so painstakingly worked out at Minsk. Another worthwhile endeavor would be to establish a NATO working group to respond to Russia’s suggestion to devise organizational and technical measures to prevent close encounters or clashes of aircraft over the Baltic Sea. Lastly, it would be highly constructive if NATO would take responsibility for assessing the fundamental factors behind the hideous outbreak of the terrorist acts that took so many lives over recent days in Istanbul, Dhaka, Bangladesh, and Baghdad. In this context, as well as in central Europe, violence begets violence. It should not be beyond the capability of NATO to undertake a fresh, hard look at why terrorism continues to increase, and to attempt to come up with new, more imaginative, less violent ways to address the issues that ultimately fuel the curse of terrorism. NOTE: As is our custom, we are sending the White House a copy of this memorandum. We would like you to know, however, that we rarely receive any acknowledgement that our memoranda get through to President Obama – or that the he pays them any heed if they do reach his desk. We suspect that the wide generation gap between his relatively young advisers and the longtime collective experience that we in VIPS bring to the table may, in part, account for this. Therefore, if you find our thoughts informative – perhaps even provocative – we suggest that, when you see the President on Friday in Warsaw, you urge the President to obtain and read his copy. World War III is a really bad idea. World Peace I is clearly more sensible. Most people on Earth prefer peace. the warmongering is the complete realisation of the policy of the military industrial complex of which already Eisenhower warned in 1960. People who desire war have no idea – like myself who suffered as a boy of 10 from the firestorms of burning German cities. People who desire war believe they can stand aside far away from the battlefield EUROPE. The same belief was also with the German Emperor and Adolf Hitler who were convinced that the WWI and WWII could easily be won in a few months. Both wars ended in the biggest desaster world has ever seen since then. But both wars will be playground plays compared to WWIII which some criminals prepare. George Friedman of STRATFOR is “widely respected” by who? I read his “forecasts” (when having free time) for years–he is hardly in the know when saying (or writing) anything on Russia. And NATO continues its march of folly. Bill, perhaps you have read Barbara Tuchman’s “March of Folly: from Troy to Vietnam” ? It was recently recommended to me, and the reviews on Amazon have me very much looking forward to reading it. Gregory: It is a long time since I read this book, but I can recall I was very impressed when I read it. I highly recommend it as I do the compendium of essays by Walter Karp that woke me up to the reality of American politics. You can get information about the four books at alibris.com. You can probably also get a good deal on Tuchman’s books there. The same assessment for Karp’s books goes for Robert Parry’s books. He has continued the tradition of Karp who died about the time Robert Parry was starting his similarly courageous and enlightening career combining real journalism with history. Thanks for the references Bill. Walter Karp looks to be a real “find” for me. His “Indispensable Enemies: the Politics of Misrule in America” is in my shopping cart. I often come across the idea that America foreign policy is inept due to bureaucratic bungling; that “mistakes” are made because of institutional inertia, and that our missteps are well-intentioned. I argue that American foreign policy would certainly be a bungled job if in fact the intentions were good…but our foreign policy is not well-intentioned, the planners are basically doing what they set out to do. Karp (according to a review) may be of a similar mindset. Sorry to see he passed away at age 55. Those Breedlove emails should be a bigger story. It’s really something else, this push to create a nuclear-ized line of control on Russia’s border, beyond even the Pakistan/China and India Line of Control. We’ve lost the cultural understanding of how dangerous this is, lost that sense that those of us who grew up during the Cold War had of the precarious nature of it all. Good try, VIPS; I respect your efforts. 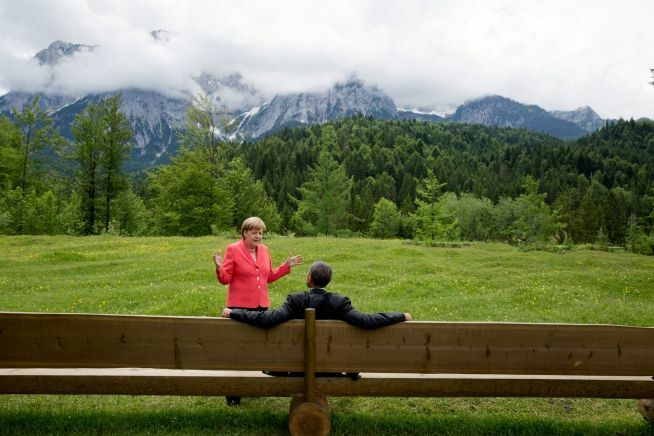 But Merkel has been on a very short leash since March, 2015 when Germanwings Flight 9525 inexplicably flew into a mountain. She knows that disaster was a personal message to her from the empire: get back in line. I am replying to you, Berry, because you and I are two of the very few who choose to identify themselves with a link to their website, which serves the important purpose of letting people know who the heck is speaking. As for your comment here, however, there is no indication whatever that anything other than the deplorably undetected insanity of the pilot was a cause of the crash, so you are either way off base (not to say your rocker) or privy to some info that no one else has. Then there is the documented fact that planes of the same manufacture as GW 9525 could be entirely controlled remotely without the pilots’ cooperation. So no, I am not privy to which it is, but the evidence of insanity is weak and the evidence that the empire uses terrorism to achieve its ends overwhelming. manufacture of higher tech means to kill other human beings. involved in all phases of this transition..
interest in yet another state bordering Russia??? annexation etc. by the State of Israel. I hesitate to be so self-serving as to re-post my own previous comments, but for those who may find them interesting, I refer you to my June 23 post under Marjorie Cohn’s June 22 article, and to my July 6 post under Ann Wright’s July 5 article. I frequently hear the truism: “Words have meaning.” That may be counted among humanity’s falsest statements. They simply don’t. Words have definitions, and “meaning” resides in the mind of the listener. Some comments on this site exemplify that point, demonstrating that not only do people fail to listen – or exhibit adequate reading comprehension – they also fail to comprehend that words have multiple definitions. The result is often an emotional response (irrationalism) where none is warranted. My observation is that a few of the commenters here, as well as the authors of this article, have assessed things with reasonable fidelity. The United States and NATO are now ‘in bed’ with a bunch of Nazi lunatics in Ukraine. There is an ideologically unbroken chain of association between the pogromists and Banderists of WWII and the current regime in Ukraine. Ergo, they are not “neo-Nazis”. They are simply “Nazis”. For example, Yaroslav Stetsko’s personal secretary is now a member of the current government. These people have their own agenda. What they “say” can hardly be expected to coincide with what they “mean”. This bizarre alliance is almost certain, whether intended or unintended, to spark some kind of kinetic event. The chance that the event will involve nuclear weapons is extremely high. As long as a Nazi tail is wagging the NATO dog, nobody is safe. We are now living in the surreal, delusional and abstract interpretation of current events which I choose to call, “The Dada Cafe”. Good luck with that. Don’t say nobody tried to warn you. The United States and NATO are now ‘in bed’ with a bunch of Nazi lunatics in Ukraine. From the same region as Gavrilo Princip who fired the starter’s pistol for World War One. I would very much hope that VIPS also saw fit to Fed-ex a copy of this memo to Merkel’s regular interlocutor, Francois Hollande. In my understanding, France has long had a number of deep reservations vis-a-vis NATO; and — you never know, d’you — this memo could conceivably prove to be the straw that’ll break the camel’s back. Thank you for your courageous efforts VIPS, this memo is excellent. If no effort to steer vision to sanity is made, we won’t even have a chance to avoid a dance with death made by blind choice. This article is nonsense. NATO, the EU, etc., are part and parcel of the Global-Totalitarian Cabal that is initiating negative advances toward Russia and Company, risking a world war. The best thing that would happen would be if Russia and Company would nuke all of it’s Totalitarian nemesis, including the U.S.
“The EU’s decision to link sanctions against Russia to the full implementation of the Minsk II Agreement happened directly after that agreement was reached in February 2015. Deeply humiliated by Putin at Minsk, Merkel tried to salvage her reputation with the US hardliners and gain some leverage over the process by getting the European Council to link the lifting of the sanctions to the full implementation of the Minsk II Agreement. “By doing so Merkel led the EU into a trap where its sanctions policy against Russia – which is severely hurting scores of European businesses, including German businesses – is now hostage to the obsessions of people like Parubiy, who have made it perfectly clear that they will never willingly implement the Minsk II Agreement. 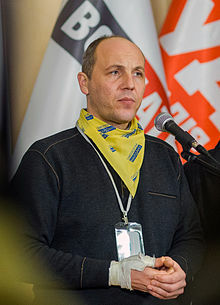 Andriy Parubiy founded the Social-National Party of Ukraine together with Oleh Tyahnybok in 1991. The name Social-National Party was chosen as a fully intentional allusion to Adolf Hitler’s Nazi party called National Socialist Party. This interpretation has been confirmed by Der Spiegel, Germany’s leading weekly news magazine. From December 2013 to February 2014, Parubiy was a commandant of Euromaidan. He was then appointed Secretary of the National Security and Defence Council of Ukraine, and was approved by (then) new Ukrainian President Petro Poroshenko on 16 June 2014. As Secretary of the National Security and Defense Council, Parubiy oversaw the “anti–terrorist” operation against eastern Ukraine. Parubiy resigned as Secretary of the National Security and Defense Council on 7 August 2014. He declined to say why, stating “I believe it is unacceptable to comment on my resignation in a time of war”, and he would “continue to assist the front, primarily volunteer battalions”. President Poroshenko signed a decree confirming Parubiy’s dismissal the same day. RT reported that local media were stating that Parubiy resigned after he was ordered to declare another ceasefire in the southeast of Ukraine, but refused to do so. Parubiy has been the Chairman of the Verkhovna Rada, the Ukrainian parliament, since 14 April 2016. Kerry was accompanied by Assistant Secretary for European and Eurasian Affairs Victoria Nuland. In addition to meeting with Poroshenko, Kerry discussed the Minsk Implementation Plan on Donbas with high-ranked Ukrainian officials including Prime Minister Volodymyr Groysman, Foreign Minister Pavlo Klimkin and Verkhovna Rada Chairman Andriy Parubiy. After Kyiv, Kerry traveled to Warsaw, Poland to attend the NATO summit. On July 8, he will be accompanying U.S. President Barack Obama, who will also be present at the summit. “Sometimes one gets the impression that the Russian side tries to explain very slowly three times to intellectually challenged people of Berlin the effects of what they are actually doing at the moment. I would consider the interview with [Russian politician Yevgeny Alexeyevich] Fedorov in this context — a kind of tedious pedagogic effort. Could it be that Merkel saw this video and became deeply frightened, when she heard that in case of a Ukrainian attack against Russia ‘Washington and Berlin would be burned to ashes’? “Well, some decades ago someone, after meeting Merkel — at that time minister of enviromental issues — commented that she is not any more intelligent than her appearance suggests. But it would need someone incapable to count up to three not to understand that we are talking about a real and massive risk of a nuclear war. This risk has existed since the day of the coup in Kiev, and we have escaped it twice already — through the reunification of the Crimea with Russia, and through the uprising in the Donbass, which has up to now prevented an attack of the junta against the Crimea. According to Albert Speer [Inside the Third Reich, The Macmillan Company. 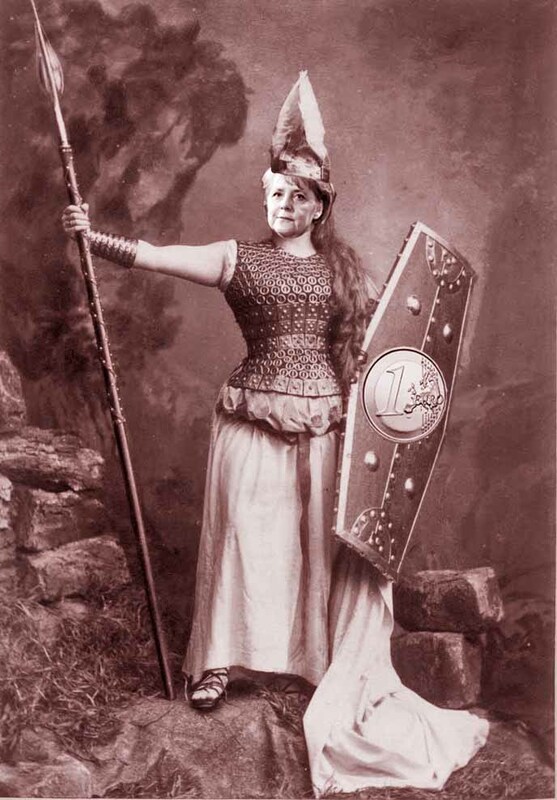 1970, p. 463], the Berlin Philharmonic’s last performance before their evacuation from Berlin at the end of World War II in Europe was of Brünnhilde’s Immolation Scene at the end of Richard Wagner’s opera, Götterdämmerung [Twilight of the Gods]. Very wise words. I would like to point out that NATO is the military arm of the Rothschilds, not an ally of the USA, not in a true sense. . NATO could never confront Russia and survive, so it is imperative to get the USA’s military involved. If this does not wake up the President, then nothing will- he is in control of NOTHING! Since Israel was unsuccessful in maneuvering the USA into a catastrophic confrontation with Iran and Russia, a Rothschilds dream of divide and conquer and take total control of Americas stockpile of nuclear arms, the Rothschilds are now resorting to NATO as the bait. This country is at a fateful crossroad; one leading to life and one leading to total destruction and death. NATO is neither an ally, nor friend. NATO is the sole property of the Rothschilds dynasty and they want a WW3. The Napoleonic War with Russia, WW1 and WW2, were very profitable for the Rothchilds. This Putin knows as does Iran and China. Only our president remains blind! He is not blind,he is part of the Zionist problem. As a person living in Germany I strongly support this (further) attempt by the VIPS to speak truth and reason to power, in this case to our chancellor Merkel. I hope a copy is also sent to Steinmeier and Sigmar Gabriel, also to Gernot Erler and Gerhard Schröder (and even Joachim Gauck), all of whom would (I think) be supportive. I posted to OpEdNews.com about Steinmeier’s remarks and Schröder’s support of them, but I don’t think many people noticed. What the VIPS are doing is extremely important. I can hardly find words to praise them enough. I have suggested a couple of times that other “leading dissidents” should take them as a model and take similar actions, but as far as I can see the VIPS are the only ones acting responsibly, namely swallowing their egos and actually getting together to produce eminently sensible statements that everyone can and should stand behind. Many thanks and kudos to all the VIPS. You continue to be my model for responsible political engagement. If the world blows up, you will be among the few who will be able to say (theoretically!) you did your best to prevent it. What Europe should have done long ago was to disband NATO, close all of the American military bases in Europe and send the hundred thousand American troops home. Europe should be responsible for its own defense and its own foreign policies, not merely a compliant vassal of the United States. You would think that, under such a policy, tensions would be lower, trip wires to World War III could be eliminated, money saved on needless armaments, and trade with Russia, China, Iran and other countries greatly enhanced, providing more jobs to fuel the economies of the European states. Perhaps, without American influences playing one country against another, Europe might have by now become even more unified than the mistrusted EU. So, why have they never done this? Why do they show not the slightest intention to do so in the future? Is it a consequence of the paranoia constantly being stoked by America? Or do these nation states still basically distrust one another to the point where they need a collective minder in the form of the United States? In essence, a super “baby sitter.” If the latter, people of Europe, please grow up and take control of your own destinies as soon as possible. Your American baby sitters are about to burn your house down. Realist, your warnings to the Europeans is spot on, but should we not advise our fellow Americans not to vote for a proven warmonger. If only the news media were doing it’s job. Doing their job of reporting the news with coverage that tends to dig into the depths of the news, and in a way that is objective to every issue, which would help greatly to improve the public’s education of world events. It’s not that people don’t care, they just don’t know. The U.S. of A controls Europe in just the same way the USSR used to control Eastern Europe until it’s demise in 1991.Hence no disbandment of NATO and the huge increase of America weapons , including nuclear ,and personnel since the Warsaw Pact was ended. In other words Germany has no choice in the same way the UK has no choice. It is Wall Street again who wants war and they ALWAYS get what they want and Damn the people who will die. Very good article. Bigwigs being generously paid by NATO as well as all the senior officers in the militaries that belong to NATO, have no real interest in losing their jobs, or their $20000 a month pensions. So what good is peace to them? These people need an enemy and if they don’t have one they will make one up and go to ‘war’ with them, the ‘war on terror’ is a good example. Sanity is certainly required here but wealth and power have trumped sanity since the first guy figured out that it was easier and more fun to just take things by force. Havent you picked up on the fact that Merkel is pursuing an anti Russian policy. German troops will be on Russia’s border. Merkel gave tacit approval to the so called ATO in the east of ukraine. Merkel maintains an anti a Russian stance that is at odds with her coalition partners in the german government and also with juncker at the EU who went to St Petersburg recently. Merkel has been briefing against him, blaming him for brexit. I really can not believe how merkel is soooo stupid. Or blackmailed. We only read that NSA was spying on her, we never read what NSA had spied up on her. In Germany, the coalition partner of the Merkel’s CDU is going alone in re-establishing links with Russia, circumventing Merkel completely. Merkel is a politically dead woman talking due to her promotion of Germany as a destination for refugees and illegal immigration. This is why CDU has been routed at every regional election since the flood of refugges and immigrants started arriving. Not sure what the benefit of this letter will be, the veterans of intelligence appear to have obsolete intelligence. But they are all absolutely wonderful individuals. There’s no taste for that in Germany. The letter is correct in its assessment of Merkel’s attempts to maintain peaceful relations with the Ukraine. Merkel and Putin get along. She speaks Russian. He speaks German. 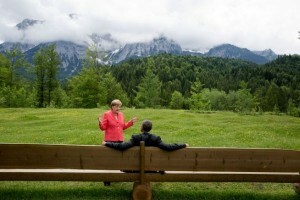 However, Merkel is under great political pressure from both the EU and NATO. Jonathan Marshall outlines new US Programs that are being designed to “counter” Russian Propaganda. The story notes that one of the program’s targets is ‘RT’, which draws less than 0.1% of the US Audience. Along the way, Marshall manages to discuss NATO General Craig Breedlove, who complains that the Russian Information Machine is causing stress within certain NATO Countries who are becoming passive toward the Russian Threat. There’s a link to Dr. Stephen Cohen, which is followed by this amazing quote, which echoes my own concerns about the growth of the nuclear threat with this ‘New Cold War’: “no conflict in recent memory has attracted less debate than America’s dangerous revival of the Cold War with the world’s only other nuclear superpower”. Here’s the German Magazine ‘Der Spiegel’s’ Article on the raucous Bayerischer Hof Hotel Meeting in which US War Criminals plotted to destroy the Ukrainian Peace Process on the eve of Merkel’s trip to Minsk. Included in the meeting were US NATO Head, General Phillip Breedlove, Victoria Nuland, action officer for the coup in the Ukraine; and John McCain, who never saw a war he couldn’t love. 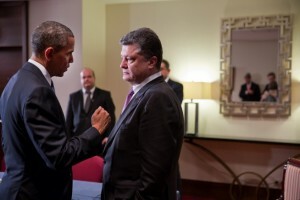 Poison Pill added to Minsk II? So if Blair was our “poodle,” what will Merkel be labeled? Brainwashing by Zion has had a terrible effect on American minds. Add to that,the MSM won’t print things that hurt the Zionist expansion program,which of course Iraq,Libya,Afghanistan and Syria(most of all,as they can grab Syrian territory at will)all are part of. Dancing Israelis?Was that an ABBA song? From my myopic viewpoint… US military families cling to the Support Our Troops meme, whereas the American public at large ignores the issue, probably because they are not personally affected. “Stockholm Syndrome” is too strong; US military families are not in a hostage situation.